The girls and I baked our Thanksgiving pies yesterday. I was feeling caught up in the nostalgia of baking alongside of my mother when I was their age. She taught me how to make a pie crust from scratch, and shared with me her secret family recipes that we all cherish today. I remember thinking these were important moments. As I mentally tallied this moment with my girls on my list of things to be thankful for, I realized not every family gets these kinds of memories. From your neighbors down the street, to the homeless we see on the corner, to the Syrian refugees now in crisis around the world there is no denying that other humans are lacking at this very moment. Growing up with a single mother who worked three jobs so we could survive, I am acutely aware of the struggle so many families face during the holiday season. Not everyone gets a warm, home cooked meal surrounded by family, and not everyone will be in their own home on Thanksgiving Day. Not every child is getting a gift to unwrap at Christmas. My heart not only aches for them, but my heart knows exactly what it feels like to be them. I remember the year my mother couldn’t afford a holiday dinner so we went without, or how hard it was for her to sign up at the church for a box of food. I remember feeling so embarrassed that one winter the school nurse called home to ask if she could send us some hats and scarves because she saw us walking home without them. It hurt to be in need of some of the most basic essentials. This intimacy with poverty is what drives me today to help other families. It is so important that they know no matter what they deserve dignity and they aren’t a burden. People give because they want to help and there is never any shame in accepting help when needed. If you are someone in need of help just know there will come a day when you can pay it forward, and you will because you will remember how good it felt to have help. If you are someone looking for ways to give back this holiday season (and I encourage you to give other times of the year too!) then keep an eye out for my upcoming series- 12 Days of Service. I am sharing 12 ways you can give back with little to no cost, and sometimes without leaving your home. I firmly believe that charity begins at home. Let’s start making a difference in each of our home towns and watch the waves ripple outward to the rest of the world! Thank you all for reading each week and supporting my message of acceptance and understanding! It is truly a joy to share with you each week. Happy Thanksgiving! May you always have enough! Thanks for stopping by!!! Have a great day too! Bless you and your family! We never went without the basics, thankfully, but I know Mom worked a lot of overtime back in those days and did without a lot for herself to make sure of it for the three of us. Moms always go without the most so their kids can have more! I love the idea of 10 days of service! I plan on doing lots of community service with my daughter when she’s old enough. Thanks so much for sharing this awesome post. We are a family of service and it’s because I too grew up poor and giving hearts made our lives special. Thank you so much for spreading cheer this year and for doing good works of service. I don’t remember much about my mom, but I do remember that she could cook up a storm! She was even a lunch lady at my school when I was little, back when they actually cooked the food! Wonderful and touching post! This is what the holiday season is all about. Thank you! I love that you are sharing ways to give back without costing much! Everyone wants to be able to serve, but some feel like they can’t. I’m a big believer in small things add up to big change. 🙂 Even though my family didn’t have a lot of extras, my mom still volunteered when she could. She took me along with her! I know that you are making your mother proud because you are using your past to help others but also are acknowledging the hardships that she faced raising you but I know that she would not change it for a thing! I always worry how I can teach my children the same lessons without them having to live through what I did. They have a much different reality than I did. Which I am thankful for, but makes me more determined for them to learn how to give back. What a great way to help. I’d like to this when the girls are old enough. This is so awesome! I do something similar here and it is just amazing! love it! 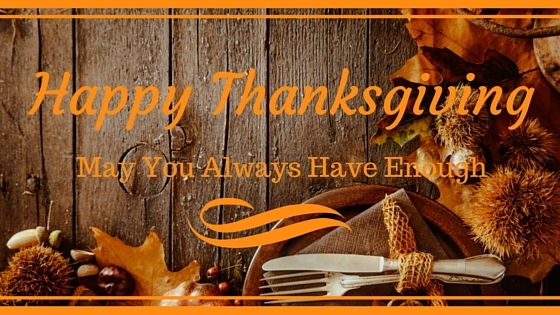 I hope you and your family had a wonderful thanksgiving!